Tortilla has announced that they are nominated for the Best Concept and The Evolution Award at the upcoming Retailers’ Retailer Awards. The Mexican chain said that this is a tribute to their growth over the past two years. “Our Like for Likes were up 6% last year and that’s 9 years on the spin. 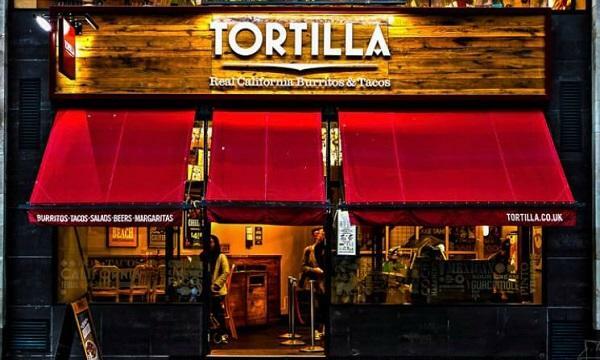 Our offering is still proving hugely popular in the market and we’ve got several menu additions and new restaurant sites in the pipeline for customers to look forward to,” Tortilla’s managing director Richard Morris said. The evolutions Tortilla have introduced inclue their 'Baby' concept, which is a site designed to cater for residential online orders. The concept is said to be half the size of their usual Tortilla outlet but assures that the kitchen design offers the same offerings. “The ‘Baby’ concept was a natural evolution for the brand and has been a major success. By embracing the changes in the market and staying true to our core concept, we’ve managed to evolve some of our design thinking, to increase throughput without compromising our in-store customers,” Morris added.